A medical diagnosis must be based on information, but can you trust the source of that information? 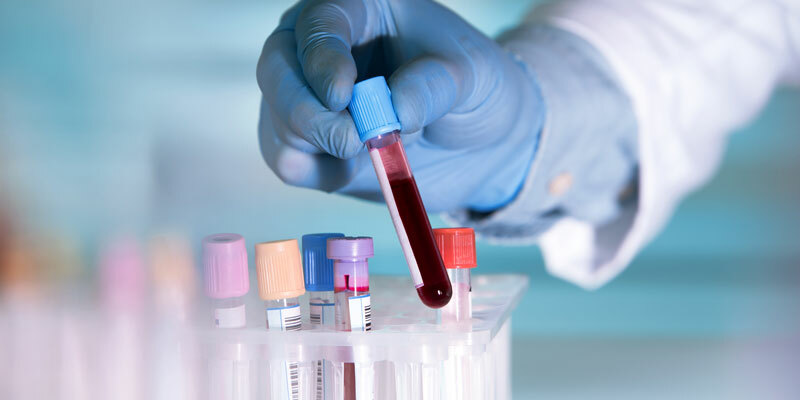 Clinical samples such as blood and urine are used to analyze a host of diseases and conditions, but in order for the ultimate diagnosis to be valid, the samples need to be viable. As healthcare gets more centralized, the analysis increasingly gets done farther away from the point where the samples originate. This creates logistical challenges because ensuring sample viability requires controlled environmental conditions from end to end. But even if it is challenging, it is also a big step towards ensuring correct diagnosis at the end of the line. If you’ve read the previous blog on blood transportation, you’ll know that temperature fluctuation creates problems for blood sample transportation, where exceptions can lead to changes in sample chemical composition. The same is true for other sample types. According to many sources, most mistakes happen during pre-analytic phase, which means before the sample even gets to the laboratory to be analyzed. While many of these are due to human error in sample collection, if the sample must be transported from the clinic to a separate laboratory to be analyzed, the conditions in which the sample travels have a lasting effect on the validity of the eventual analysis. And while the analysis process, including pre-analysis, has experienced some improvements in the past decades, transportation between locations has some catching up to do. Ensuring correct conditions is then paramount to achieve correct diagnosis at the end of the line. There are various requirements for, and different ways of achieving this, but data loggers are a standard way of measuring environmental condition from the cooler itself. However, not all loggers deliver identical levels of safety. Many operators still lean on the bare minimum in digitalization, using legacy ware like USB loggers that must be manually decoded at the end of the journey. This means extra work, increased overall transportation times and inability to effect change if something goes wrong during transportation. Manual decoding also means that the coolers must be opened to get access to the data, and every unnecessary opening affects the thermal conditions inside. Clearly sample transportation would benefit from automation that would minimize the need to handle sensors manually. The best way of doing this is IoT, or the Internet of Things, through which smart devices can communicate with each other. In sample transportation this would mean sensors that measure, verify and record conditions in real time, and then transfer that data to a central platform for processing. This allows the platform to notify appropriate stakeholders when there are significant changes, or when preset limits are breached. In addition to real-time alarms, automatic and continuous end-to-end recording of all conditions data lets the laboratory staff verify sample integrity at a glance, as well as driving process development based on actionable data. As an example of IoT in real life, Sensire’s TempNet® solution is one such system that is used to monitor sample transportation in real time. Our IoT sensors deliver a host of measurement from temperature and humidity to GPS tracking and more. Through data upload to TempNet® Cloud, all environmental condition data is immediately visible to stakeholders. Different people can also have differing order of access, so the lorry driver can get alerts from specific transports, while C-suite can have visibility to the overall operations data, giving them the information they need to evolve processes and decrease spoilage. Through our transportation solution all sample transports can be set to start and stop automatically or through a mobile app, so operators can request validation by the driver for the beginning and end of a transport by utilizing simple bar code scanning. This enables different ways of checking transportation times, as well as ensuring that transports are confirmed digitally. As a significant number of pre-analytic errors have to do with mislabeling and erroneous sample requests, TempNet® gives real-time visibility to what is actually being transported, where, and when. With all data in the cloud, it can also be analyzed en masse through the TempNet® Analytics tool to find where the exceptions happen, making route planning and development easier on the whole. With many other digital monitoring companies, you can expect to get monitoring data that includes measurements like temperature, humidity etc. With Sensire, however, monitoring is the bare minimum in what we offer. Our guiding principle is to provide the kind of service that can make the customer’s operations easier, cheaper and more secure. Through the TempNet® system, we can offer recoding, tracking and monitoring throughout transportation, which will help with ensuring sample integrity. With the mobile app’s bar code support, the customer also has increased capability to link their products to gathered information on different levels, which decreases the risk of losing samples in transit. All this data can also be shared among stakeholders through the TempNet® Cloud or by integration with other platforms such as blockchain. Better transparency can then make interorganizational cooperation easier, which will help in overall pre-analytic coordination to achieve better sample quality. The kind of system that can achieve all of the features described above can of course be a pain to build and cost a lot of money if you want to do it yourself from scratch. We can understand why many operators view lump sum investments like these with trepidation. That's why with Sensire you’re investing in a service, which means that the system is yours to use without the need for debilitating initial investments and you are always using the latest tech. Because we wouldn’t advice anyone to go for broke at the first try, we also offer pilot projects. This means you can validate our service for your specific operation, and we can plan together how you can get the most out of the system and what kind of service best suits your needs.